John's Crazy Socks is a father/son business venture that began after John, a young adult with Down Syndrome, aged out of Huntington High School. John and his father are the owners and half of their staff are individuals with disabilities. Just after two years since its inception, they sell over 2,300 different varieties of 'crazy' socks, donated over $200,000 to charities, and made over 5 million dollars! 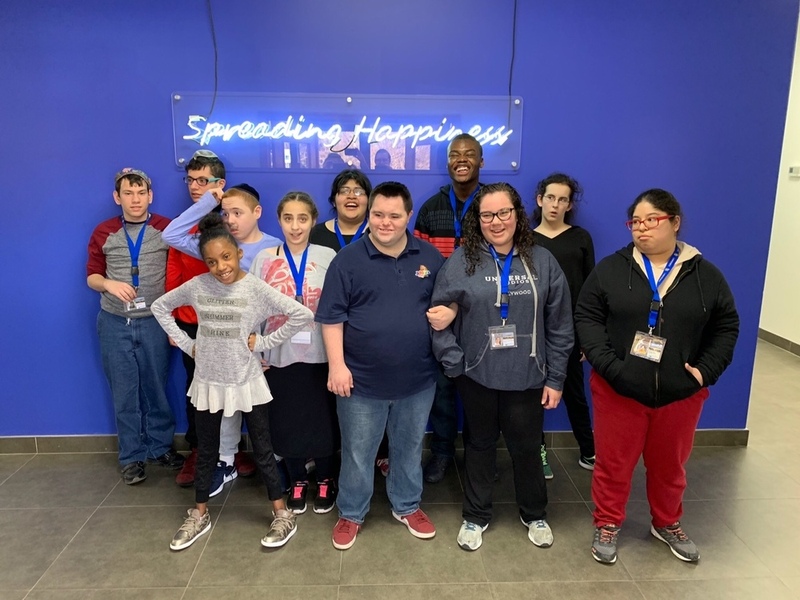 The staff and students, from the vocational program at Lawrence High School, learned their story, got a tour of the facility, practiced some of John's Crazy Socks work tasks, and the students even got a free pair of socks.